Now this is a shockingly dangerous threat when hackers are taking over weapons and missiles. This time I am not talking about weapon systems being hackable, but being HACKED! A German Patriot anti-aircraft missile system stationed on Turkish-Syrian border was reportedly hacked and taken over by an unknown "foreign source" who successfully executed "unexplained commands." 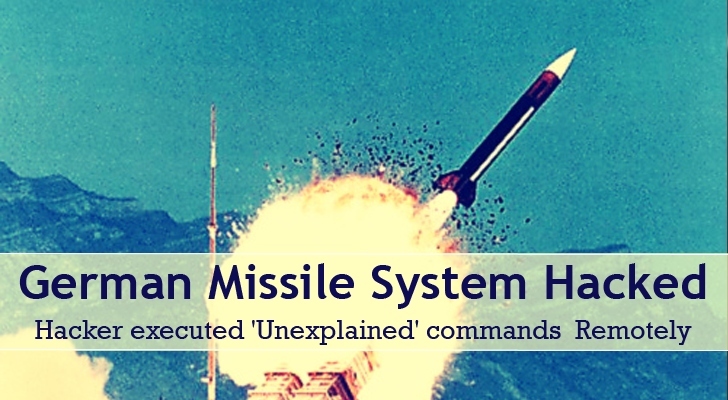 Attacks on the Patriot missiles system were detected when "unexplained" orders were given to the weapons via two supposed weak spots. Annie Machon, a former MI5 agent and whistleblower, told RT that the highly secure US weapons could contain backdoors. Also, Edward Snowden leaks confirmed that the US government conducts nation states cyber-espionage to steal sensitive nation’s secrets. In June, Germany decided to spend USD4.5 Billion to replace its Patriot missiles with the Medium Extended Air Defense System used by the US and Italy.